The first Republican presidential debate of the year was typified by interview-style questions individually targeting each candidate. The second GOP debate emphasized split-screen face-offs between candidates. 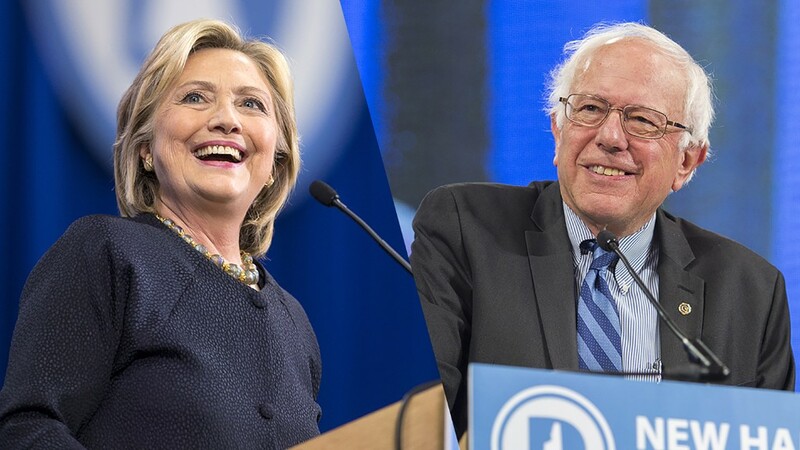 Now it's time for the first Democratic debate of the election cycle, airing on CNN Tuesday night. So what approach will the moderator Anderson Cooper take? He's veering toward the first, for the simple reason that he, and his producers don't think the Democrats have as much willingness to spar as the Republicans do right now. In an interview on Sunday's "Reliable Sources," Cooper said his plan calls for "pointed questions" to each contender. "Going into the Republican debates, you pretty much knew there were a number of candidates who were willing to [attack each other]," he said. "Some lower-level candidates wanted to punch up and try to make a name for themselves. That's not the case, so far as we've seen, on the Democratic side." That is partly because Hillary Clinton has dominated the Democratic field for months. And her closest challenger, Bernie Sanders, has generally avoided direct, personal criticisms of her. Case in point, Sanders said her name only once during a 25-minute interview with NBC's Chuck Todd, portions of which were shown on Sunday's "Meet the Press." "I happen to respect and like Hillary Clinton, so I don't get into personal attacks, you know that," Sanders said. "But are there differences of opinion that should be discussed? Of course, there are. That's what that election is about." Those "differences of opinion" mean that split-screens, a television technique that shows two people simultaneously, will still be a useful tool during the Democratic debate. How Clinton reacts while Sanders speaks — and vice versa — will be closely watched by members of the media and prospective voters. Three other candidates — Martin O'Malley, Jim Webb and Lincoln Chafee — will join them on stage. The trio have far less support, according to polls, but met the 1% threshold to be invited. "I think it's just as interesting to kind of learn about some of these candidates who the American public doesn't really know much about," Cooper said, "as it is to hear from some of the candidates you do." Vice President Joe Biden has yet to enter the Democratic race, but Cooper said "he has the address, he knows where it is, and I think there'll be a podium in the wings for him if he wants it." Biden or no Biden, what the Democratic debate lacks is the GOP frontrunner Donald Trump, who has been credited with the ratings surge for both Fox's debate in August and CNN's debate in September. Cooper called Trump's effect on the GOP debates "extraordinary," and he said it's been "good for the process" by spurring interest in the primaries. No matter which candidates are on stage, debate nights are "incredibly important" for each participant, Cooper said. "They want you to call on them — what you don't see on camera, a lot of times, are sort of the poker signals, the poker tells that the candidates are giving you, to try to get you to call on them," he said. "You know, glaring at you with their eyes, motioning at you with their fingers, whatever it may be." Cooper also said he strives to be overprepared. During a recent reporting trip to Greece, Germany, Austria and England for CBS's "60 Minutes," he brought along a pile of debate research, including the candidates' past interviews. Cooper added, "You know, I've had candidates' spouses come up to me during commercial breaks, yelling during debates, that their loved one is not getting enough time." Joining Cooper Tuesday night will be CNN's Dana Bash, Don Lemon and CNN en Espanol's Juan Carlos Lopez. The debate may run up to two and a half hours and starts at 8:30 p.m. ET.